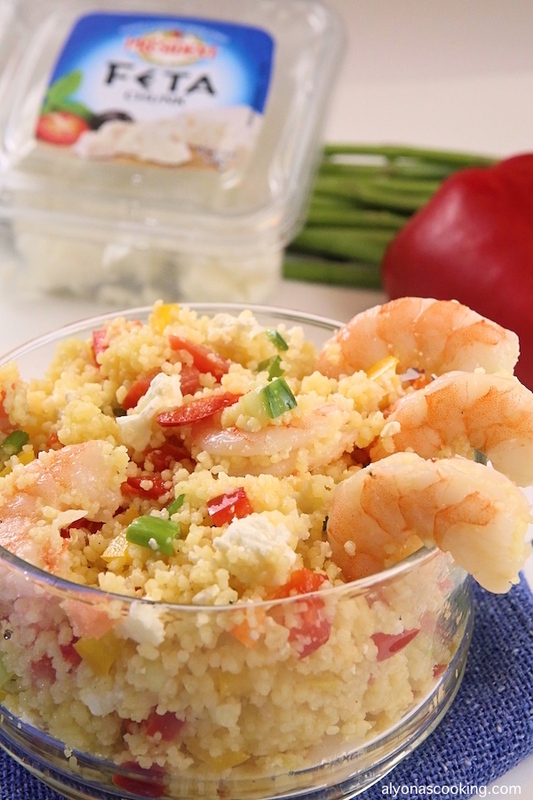 This Couscous Salad with Shrimp and Vegetables is my absolute favorite. Not only that it is very healthy salad, it is also very easy to make. 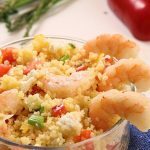 Couscous, plump shrimp, and some fresh veggies are tossed in a zesty vinaigrette creating one refreshingly light salad! I discovered a couscous salad some time ago while searching for a healthy salad. After I trying this recipe, I keep coming back to it because of its simplicity and deliciousness. A healthy, super tasty, and a nutritious filled salad like this is a definite keeper recipe in my little notebook. I have a few couscous salad recipes but the vinaigrette to this salad is a must try! Give this salad a try to really taste the melody of awesome flavors. 1. Bring water to a boil and stir in couscous. Cover and remove from heat. Let sit 5 minutes then fluff with a fork. Cool. 2. Whisk dressing ingredients and set aside. 3. Toss together the remaining ingredients and pour in the dressing. Toss to coat and keep refrigerated. 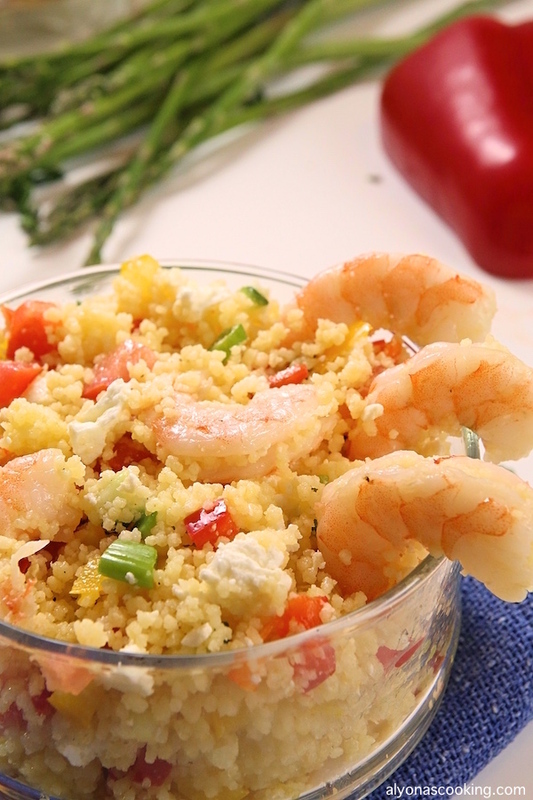 This Couscous Salad with Shrimp and Vegetables is my absolute favorite. Not only that it is very healthy salad, it is also very easy to make. Bring water to a boil and stir in couscous. Cover and remove from heat. Let sit 5 minutes then fluff with a fork. Cool. Toss together the remaining ingredients and pour in the dressing. Toss to coat and keep refrigerated.